$50/month + FREE Set Up! We work here. We live here. Our clients have loved us for decades. 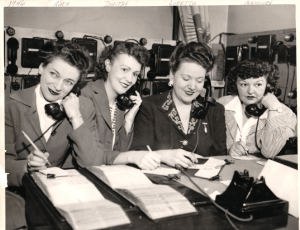 Since 1935, NuFone Answering Service has been a staple to local businesses and medical offices in the Chicago area. Though many things have changed since then, some things simply have not. Our dedication to the highest levels of customer service and satisfaction have been a staple of our service for over 70 years. We moved our offices from Madison, IL to the building in Oak Park where we currently office back in the 1960’s. It was important to us to be a part of the “pulse” of Chicago where many of our clients were located. If you’ve been looking for a Chicago telephone answering service that treats your customers like their own, and each call with the attention it requires, look no further than NuFone.